We are very excited to publish for the first time a photo coming from India! 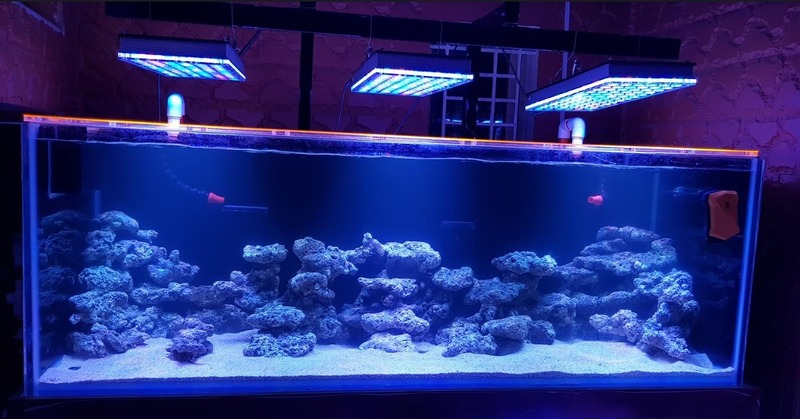 L. Lakshminarayanan has sent us a photo of his new reef tank taken while he was running the biological cycling mode (therefore the water is a bit clouded). Our client has recently ordered three of our Atlantik V4 Reef lights for his 6 X 2.5 X 2.5 ft. tank, displayed vertically. Rocks are already placed neatly and it sure looks like he will have plenty of perches for his coral which he will introduce on August 18. We are lucky to be able to follow up the tank from its start and as he will continue to send us the follow up pics and info we will share with you! What is cool to know is that Orphek presence is really reaching the four corners of the world! Thank you L.L. for sharing your tank and your passion for the hobby with all of us. keep us posted! !